ASTANA – Kazakhstan’s former capital and current financial centre, Almaty, is celebrating its 1,000-year anniversary with gala concerts and a number of other events organised by the city administration. President of Kazakhstan Nursultan Nazarbayev, attending the concert marking the millennium on Sept. 18, congratulated the country on the birthday of its beloved and beautiful city. He noted that the founding of Almaty is included in UNESCO’s calendar of commemorative and anniversary dates important to humanity. “In 1929, the city took over the role of Kazakhstan’s capital, and since then it has grown to a metropolitan city of more than a million people,” he said. “Almaty was honoured by being the first capital of independent Kazakhstan. Therefore, it is symbolic that the 1,000th anniversary of the city is celebrated on the 25th year of independence of our country. Here we adopted our constitution in 1995. We signed the constitutional law ‘On the Independence of Kazakhstan’ in this city. In Almaty, we established the Assembly of the People of Kazakhstan. Here we made the historic decision on the new capital – Astana,” he said. Nazarbayev highlighted the unique role of Almaty in regional and global development, calling it ‘the holy land in the foothills of the Alatau peaks’ and said the city served as a connecting point for East and West, North and South, of the vast Eurasian landmass. 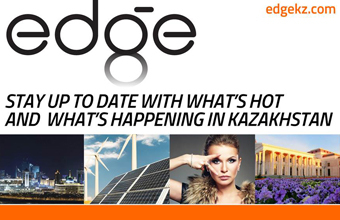 “Almaty today is a reflection of the steady and sustainable development of all of Kazakhstan. In the past five years alone, the city has doubled in population. The population of Almaty is 1.7 million. Almaty’s subway has transported more than 30 million passengers. In 2017, we’ll start construction of the Big Almaty Ring Road under the Nurly Zhol state programme, which will be a part of the Western Europe-Western China international highway,” the President commented. 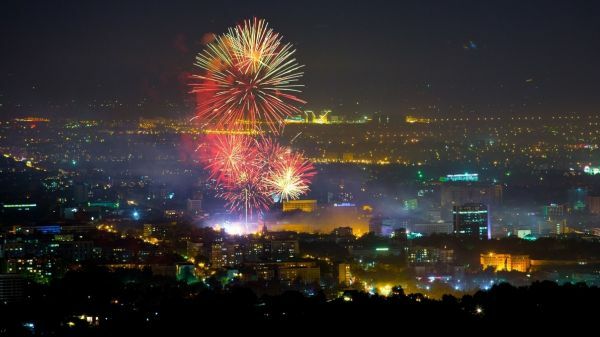 In Almaty, celebrations started in the Park of the First President with the Almafest 2016 apple festival, the press service of the city administration reported. A record number of apples were delivered to the city: 150 tonnes of the fruits were supplied by 33 farms in the Almaty region. The festival consisted of eight theme-based sections with different entertainment and cultural programmes. A concert, “Twenty-Five Peaks of Almaty,” took place in the city’s new Ice Palace. “Gakku Dauysy,” a Kazakh music concert, as well as the Art Energy festival of creative industries and creative initiatives were also devoted to the city’s birthday. In the evening a fireworks show called Apple Fire was launched in three locations in the city. “The Pyramids serve as evidence for such ancient cities as Baghdad or Cairo. Those are things that we can look at and touch. Almaty lacks such specific sources. We rely on excavations and artefacts that were found – for example, coins and various utensils,” Deputy Director of the Presidential Archive Zhamilya Abdukadyrova said on the dating of the anniversary, Kazakh TV reports. Almaty’s age used to be dated to the establishment of Fort Vernyi in the mid-19th century, but archaeologists have proved that people lived there long before. Experts have shown that Almaty has existed for more than 1,000 years, suffering through at least one devastating earthquake and changing its name three times. The main argument of the historians is a coin on which the phrase “Balad Almaty” is written. The coin dates to the 13th century and, these historians say, shows that at that date there was a mint and a monetary system at the place where the modern city is located.